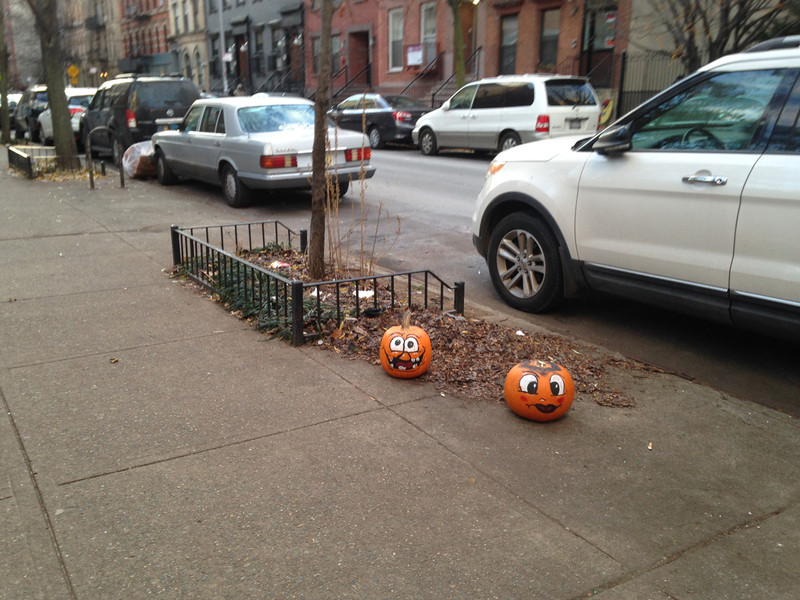 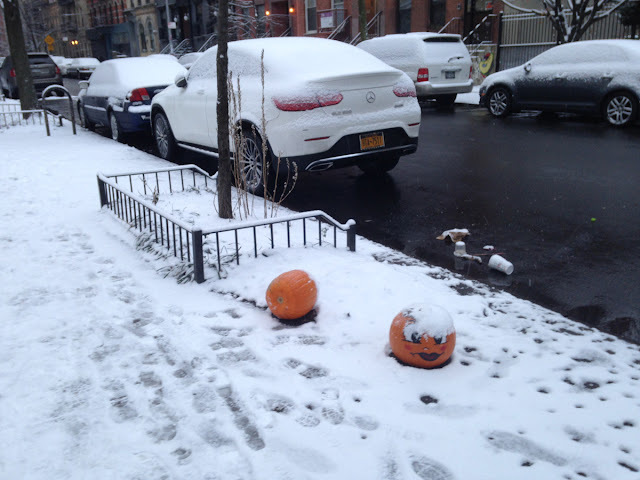 I was very surprised to see them in such good condition, this long after Halloween. I was even more surprised to see that some anarchist hadn't destroyed them! 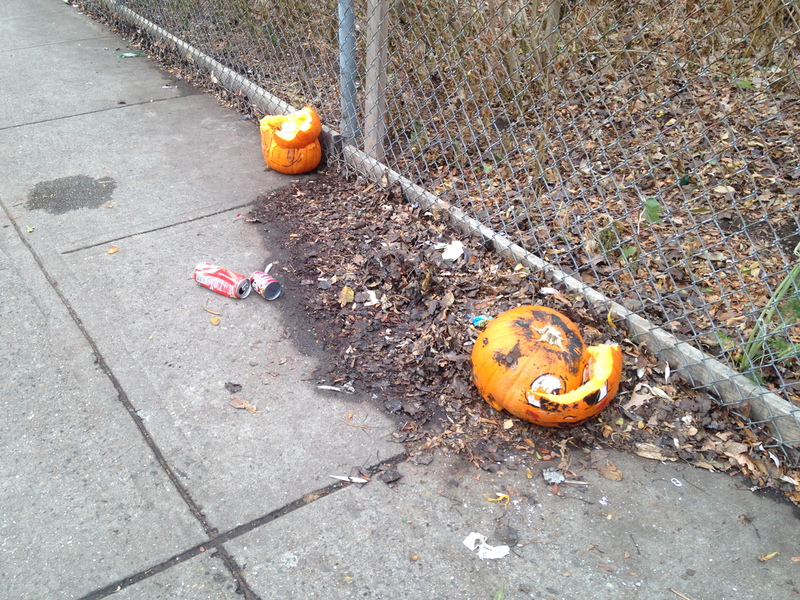 They had a good run though, and there's no victory in smashing a pumpkin 49 days after Halloween — it's practically humiliating!